Summary: There is nothing on the sales page, or anywhere online that instills me with any confidence when it comes to this product. Beware. Today I’ll be providing a quick review on a new automated trading software by William Maynard, Triple Lock Profit System. According to the sales page this trading product is utilizing a new “AlgoPremium” technology is earning traders a daily income of $10,000. If you’ve been in this market long enough, you’ve seen promises like these made hundreds of times before. Each and every one of those times, these promises have not come true, which makes me very skeptical in this case as well. There is no real information on the company that provides the software, outside of the information that is developed by someone named William Maynard. Yet, if you do any research on this character, you will find that the images on the webpage are stock photos and William has no reputation in the binary options marketplace. This is not a good sign. For high rated binary options software, go here. This website is really exactly what you would expect from the common binary options product developer. The Triple Lock Profit System creators do a very poor job at explaining their service, and telling us why it works the way that it does. Instead, the main focus of the sales page is on how much money this makes, not how it makes this money. This is an important qualifying factor when comes to trading products. If a vendor doesn’t have the ability to explain how and why their system is successful, then they likely aren’t traders. I find it’s always best to put yourself in a position of power by dealing with programmers and developers that have in-depth knowledge of trade logic and methodology. In this case, there is really no adequate information about trading strategy, and they do nothing to convince me that this is a legitimate trading product. As I mentioned above, William Maynard does not exist. He is a character, and you can see that by doing a little research, or just seeing that the image being utilized as of a stock photo. The creators attempt to provide a live user profit section to show everyone exactly how the Triple Lock Profit System performs. Yet this attempt is not successful. They show us 8 trades from the exact same day in 2014, half of them being put trades and half of them being called trades and the results shows that they’ve all one. This isn’t practical, and it certainly isn’t possible. Considering all of these trades are on the exact same pair and being taken at the exact same time, half of them would have to lose and half of them would have to win. This type of results table is extremely shortsighted because it shows just how little knowledge the people who are behind the system have. 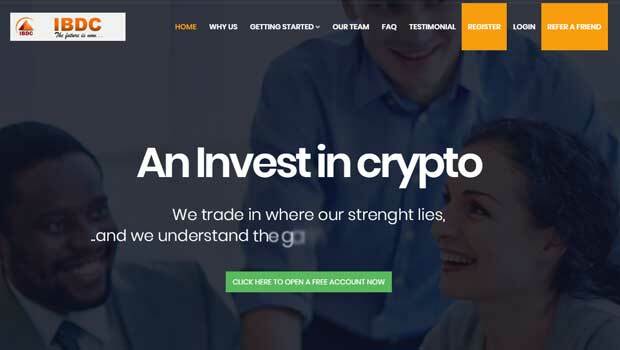 There are also a collection of testimonials that cannot be trusted, because as far as I’m concerned this developer cannot be trusted after showing us such a poor understanding of the binary options market. I can’t give you a single reason to sign up with the Triple Lock Profit System. Everything on the poorly put together sales page just indicates to me that this is a binary options scam. From the stock photos, to the promises of thousands of dollars on a daily basis, there is nothing transparent on the entire webpage. Be very careful when dealing with automated trading systems in the binary options market, because they are generally created by affiliate marketers that have no sense of trade logic. Please let me know what you think about the system by leaving a comment or remark below the article now. Thank you for stopping by and have a great day.